The Nest Protect + Google Home Hub + Google Home Mini is a feature-packed bundle that will keep your loved ones safe and your life efficient. The Nest protect is a smoke and carbon monoxide detector giving you both vocal and smartphone notifications if it senses something isn’t right. It has up to a 10 year lifespan and includes a Split Spectrum Sensor that tests itself automatically. The added Google Home Hub and Google Home Mini will connect with the Nest Protect to keep you notified on whats happening around while also delivering intelligent voice-assistance for everyday tasks. The Nest Protect + Google Home Hub + Google Home Mini bundle is an intelligent way to go about home smoke detection and voice assistance. Anyone can benefit from a Nest Protect, since it also detects carbon monoxide and tests itself daily to make sure its always functioning. The Nest app gives you an easy way to receive alerts and notifications. The added Google Home Hub and Google Home Mini are great partners, but also powerful voice-assistants that offer a wide spectrum of its own features. All things considered, you are getting smart products that will make a real difference for your home and your loved ones safety. 400 self tests per day:Even though every person should check their smoke detectors monthly, 9 out of 10 people don’t. So to make sure they’re always ready the Nest Protect performs 400 self tests a day. If something is up, you will be notified via the app so you can fix the problem right away. Smoke and carbon monoxide detector:The Nest Protect is in its own league due to its ability to detect carbon monoxide. This is a tasteless odorless gas that people aren’t always aware of but has been linked to a number of health problems. App control:Always stay up to date and in control in the Nest app. If the Protect senses anything, you’ll get a notification on your phone. If the alarm does go off and you are there to take care of problem, you can silence the alarm from your phone. Smart alerts you can see:The added Google Home Hub and Google Home Mini will connect to your Nest Protect so you can receive alerts via a local device. The Google Home Hub 7” LCD screen allows you to see the alerts rather than just getting a verbal notification. Powerful speakers:No only are the Google Home Hub and Google Home Mini feature packed voice assistants but they include great speakers for home entertainment. You can play music directly from sources like Spotify, Pandora or TuneIn with rich sound. Smar home hubs:Google's smart home control center has been designed to be the core of your smart home. Its compatible with 100s of smart home brands, with the Google Home Hub having particularly great functionality with smart security cameras thanks to its 7" LCD display. The Google Home Mini is a perfect addtion, especially for bigger homes so you can get all the same updates from your Google Home Hub when you're in bed. The Nest Protect + Google Home Hub + Google Home Mini bundle provides optimal home safety through smart detection and alerting. It detects both smoke and carbon monoxide and will alert your smartphone if anything unusual is detected. 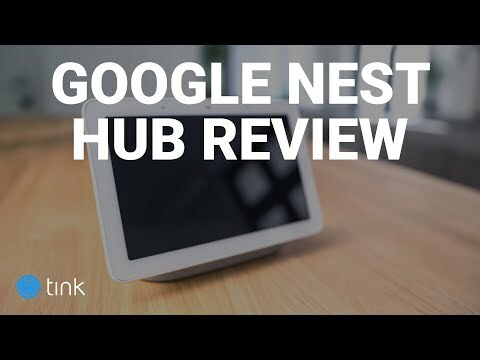 The Google Home Hub and Google Home Mini are fantastic additions as they compatible with Nest and give you another alerting method while also offering a plethora of other smart features. You might be thinking what really makes the Nest Protect so much different than other smoke detectors besides its dual sensing capabilities? Well, the Nest protect has multiple smart features that keep you alerted and in control without being overbearing. For starters, the smart detector is able to detect the intensity of a fire (whether it poses a serious threat or not). So if you accidentally burn some popcorn in the kitchen, the Nest smoke detector will alert you accordingly. Instead of sounding the 85 dB alarm (which it does when heavy smoke is detected) a friendly vocal alert will let you know something is going on in the kitchen. The Nest Protect has a nightly promise, so when you turn off all the lights at night it will glow green, telling you that Protect has tested itself and is ready for the night without making any unexpected chirps or squeaks. When you then walk under the protect during night, it will light your way with a path light with its built in motion sensor. It can also illuminate red or yellow when it recognizes something is wrong and the level of threat, offering a local visual alert. The included Google Home Hub and Google Home Mini are some of the most powerful home assistants on the market. Not only are they compatible with the Nest Protect but they have a range smart features that will make your daily life easier and more efficient. Then Google Home Hub comes with a 7” touchscreen display so you get information you can see. Call up directions or make use of video recipes directly on the screen. The Google Home Mini is perfect to put in bedrooms or playrooms, acting as a great entertainment speaker for playing your favorite music - stream from popular services like Spotify, TuneIn or Pandora. This bundle is all about your saftey and ability to receive alerts if needed. At this price point it doesn't get much better, especially when all these products work together seamlessly while indiviually containing amazing smart features. Nest Protect: 5.3 x 5.3 x 1.5 in, Google Home Hub: 2.65 x 7.02 x 4.65 in, Google Home Mini: 3.86 x 1.65 in. Can I use the Google Home Hub and Google Home Mini to make phone calls?